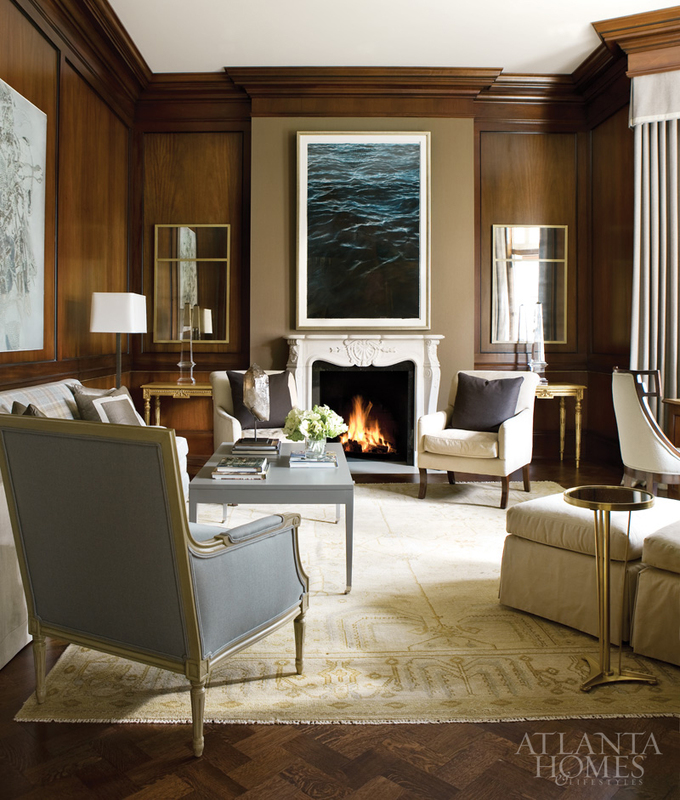 Mix and Chic: Home tour- A beautiful and harmonious Buckhead home! Home tour- A beautiful and harmonious Buckhead home! 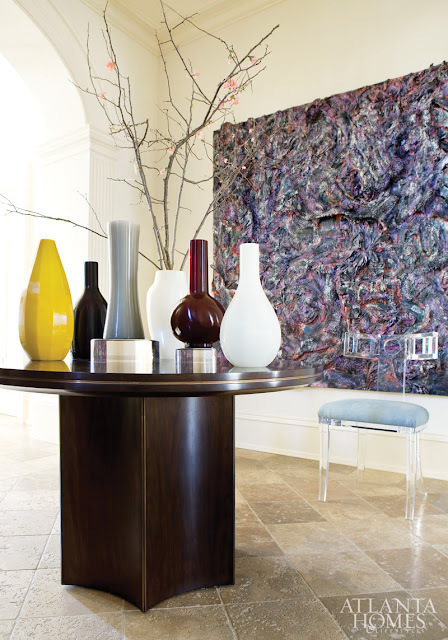 Designer Robert Brown melds a young family's Buckhead home's classical architecture and their collection of contemporary art seamlessly to create a harmonious environment. A neutral color palette was selected throughout the home to showcase the homeowners' art collection. Let's take a tour of this stunning home below. 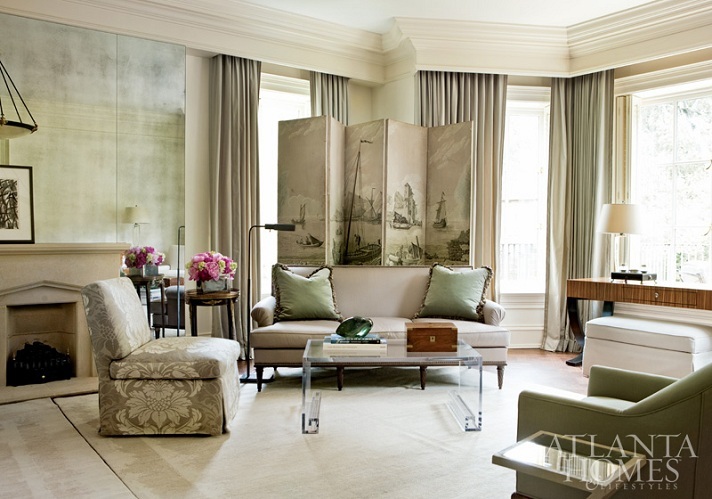 Refined, elegant and timeless, this home will surely stands the test of time. The gorgeous living room with the striking artwork and the beautiful sitting area in the master bedroom are my favorites. 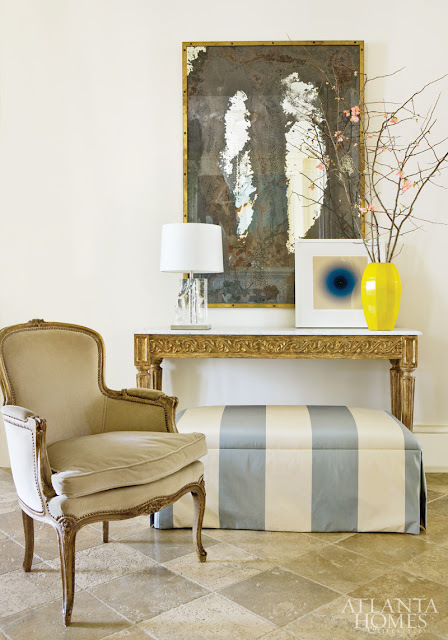 Are you drawn to any of the rooms from this fabulous home tour? 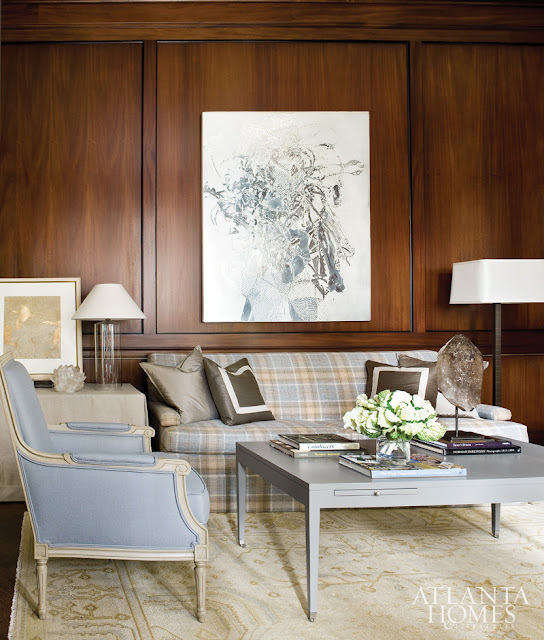 Love the wood panel room with brown fireplace paint. I need to show this to my mom...she has beautiful wood paneling but it needs that special paint and right color fabrics to really enjoy it. 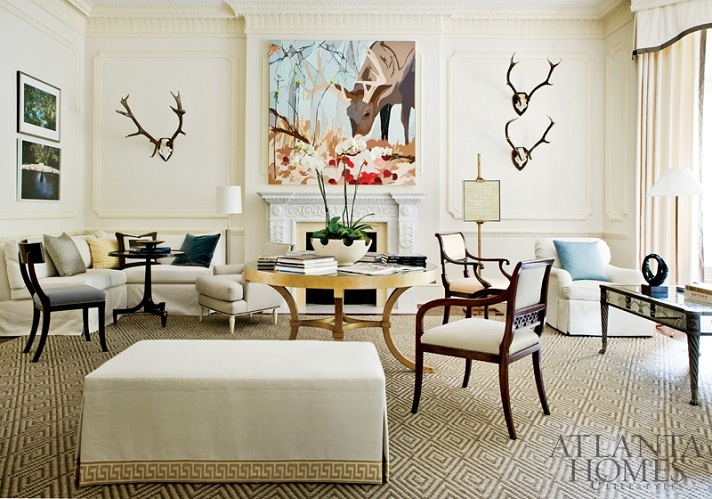 I love the way the antlers are hung on the wall on either side of the artwork of the deer- that was a cool idea! I love how elegant and timeless this house is. Very beautiful! Have a great one Jessie!